In the 6th Century, Count Attila – The Seigneur of Pagus – gave to Saint-Basles the lands of Bouzy. Rapidly the reputation of this wine crossed the Reims Mountain. That’s how the best wines from Bouzy were regularly served with all banquets to crown our Kings of France in Reims. Bouzy became really famous during the Sun King Century. At first Madame de Sévigné discovered these wines from the Reims Mountain and hurried to inform her dear daughter…and posterity of them. Louis the Fourteenth, despite his doctor’s warnings, used to prefer these wonderful red wines from Champagne to any other wine. 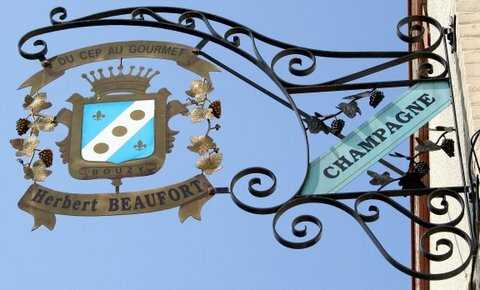 At that time, Father Godinot ( his family used to own a splendid vineyard in Bouzy ) has contributed to improve the process to make Champagne ( froth…). Wines from Bouzy have appeared on the inventory cellar-book of Louis the Sixteenth in Versailles – m.s 01793 – page 15 ( Archives Nationales 1782 ). The first Champagnes were marketed by the name of the « CRU » where it came from. During the 18th and the 19th Centuries, you could find on labels : « Grand Vin du Trésor de Bouzy », « Fine Fleur de Bouzy »…The industrial revolution ( middle of the 19th Century ) did not spare Champagne and the « brand » did replace the « CRU ». Only during the great Depression in 1930, the name of Bouzy reappeared on a label of Champagne, but this time, it was made and marketed by winegrowers themselves. 17 « Grands Crus » villages in Champagne ( out of 309 listed villages which benefit from the A.O.C. Champagne ). Recognized for the quality of their soil and the specificity of their climate, these vineyards have exceptional conditions to develop these local grape-varieties. 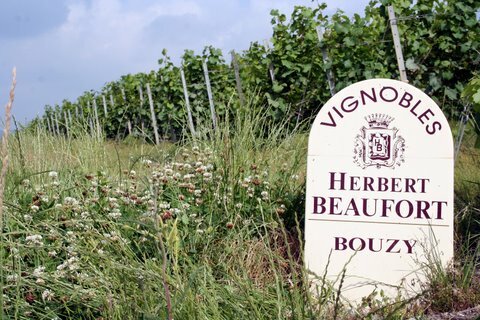 On a thick chalky sediment, the vineyard of Bouzy covers 381 ha planted with PINOT NOIR ( 88% ) and with CHARDONNAY ( 12% ) and is south facing on the Reims Mountain.